The bribery trial of U.S. Sen. Bob Menendez is focusing on a 2012 meeting with then-Health and Human Services Secretary Kathleen Sebelius. An indictment charges the New Jersey Democrat met with Sebelius in 2012 to advocate on behalf of Florida eye doctor Salomon Melgen in Melgen's $8.9 million Medicare billing dispute. It alleges Melgen bribed Menendez with trips on his private jet and luxury hotel stays. A former agency official testified Monday that Menendez reacted angrily when the staffer disagreed with the senator's claim that Medicare billing policy was being applied inconsistently. During cross-examination Tuesday by Menendez's attorney, the official said Menendez discussed policy issues and didn't mention Melgen's name. While Menendez has claimed he sought out Sebelius because of inconsistencies in Medicare billing practices, prosecutors allege he was acting solely on Melgen's behalf. Former Centers for Medicare and Medicaid Services official Jonathan Blum also testified that though Menendez didn't mention Melgen's name during the meeting, he understood that it was Melgen's dispute that was the underlying reason for the meeting. 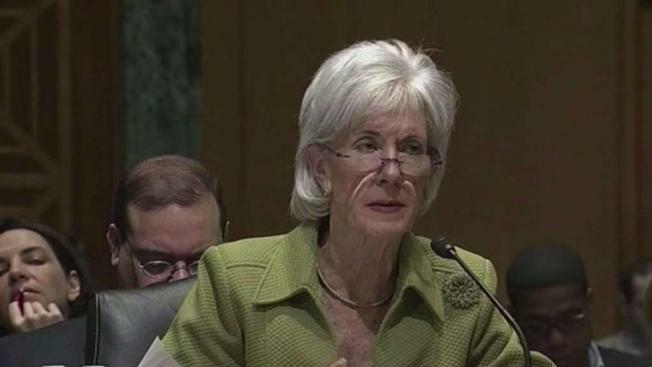 Sebelius could testify later this week. Former Democratic Senate Majority Leader Harry Reid also was at the 2012 meeting and could testify. Melgen eventually paid back the $8.9 million. 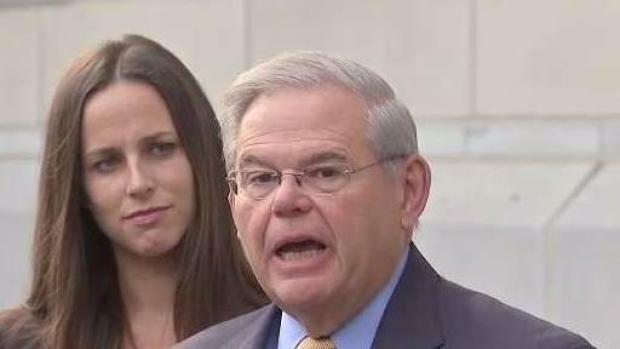 In a separate case not involving Menendez, he was convicted in Florida in April on multiple counts of health care fraud, submitting false claims and falsifying patients' records. Sentencing in that case was postponed until after the current trial concludes.